Franchises are an interesting aspect of a business, where you sell your brand to others in return for part of their revenues. It is one of the best ways to enjoy the perks of having an established brand. However, franchise businesses are some of the most decentralized business models, and managing them can be a real pain. But, things can go a lot smoother if you use ERP to grow and empower your franchise partners. Enterprise Resource Planning software is a boon for businesses to better manage their resources coherently. 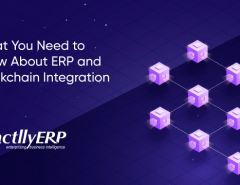 An ERP software cannot only synchronize various departments but also make them more efficient by collaboration. When you look at it that way, ERP seems like the obvious thing for managing franchises. If you thought you only had to sell your brand name as the franchiser, think again. Most franchises include products made specifically by them, and it is not a wise move to teach the tricks to the franchisees. Sadly, it also means that the burden of maintaining inventory falls on you. You need to track every item you do or do not have, as well as ensure that supplies are not interrupted. ERP software solves this trouble. With ERP, you can have a centralized tracking of every item you have, the items you need, and the items you would soon run out of. Alerts could be set if any particular item goes below a certain level. You use ERP to grow and empower your franchise partners while saving yourself from a lot of trouble too. 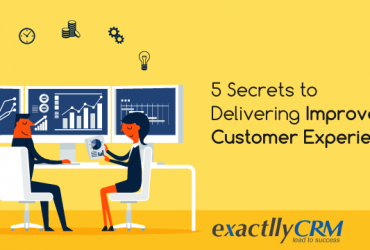 The entire motivation of your business boils down to just one thing – more sales. You want to provide more products/services to more customers, and distributing your franchise all across the country or the world may become a blind spot. You no longer can track which franchisees are succeeding to increase sales and which are failing. However, ERP gives you a centralized view of all your financial details, including the sales and further analysis of it. You can know if your sales were increasing or decreasing, and may decide to expand your brand or rethink your strategy. Another important aspect is marketing. Here, you would need the ever-faithful combination of ERP-CRM. 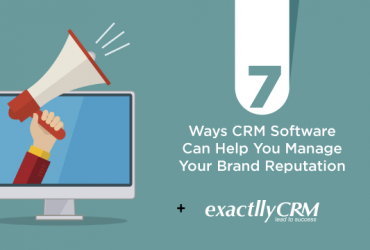 With CRM, you can manage all the marketing campaigns and customer data. 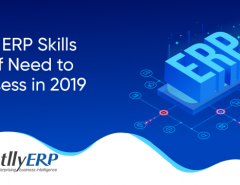 With ERP, you can view this data in reference to all the departments within your company, and see if a marketing campaign is working well or need further improvements. ERP also gives you a centralized access to all data regarding customers, which could be then used for targeted marketing approach like email marketing etc. Like we mentioned earlier, the decentralized approach is one of the biggest hindrances in a franchise business model. With your franchisees spread across various locations, it becomes hard to keep track of them. Sometimes, a business is underperforming, but you are not aware of it until it is too late. Not only it is financially bad for you if a franchisee shuts down, it can also affect your brand image. With an ERP, however, you can keep a track on all your franchisees at all times. 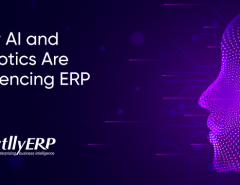 Since ERP software is now cloud-based, you can even use your mobile phones to get real-time data. Some great ERP vendors can even give you tailor-made tools that fit the amount of mobility you need. Even though there is no real action involved apart from observing, it saves you from that one possible scenario when a particular franchise is in trouble and your prompt action can make things alright. Cloud-based mobility enables ERP to grow and empower your franchise partners, anytime and anywhere. Additionally, keeping regular tabs on your franchisees makes physical inspections unnecessary, saving you a lot of time and giving more freedom to your partners. The most obvious benefit of using ERP software is the ability to manage all your resources in a centralized manner. These include the manpower, i.e., your employees. With ERP, you can keep a track on the performance of all your employees and check periodic progress. Having the right people is essential for a business to grow, which is what ERP ensures. However, you can extend this feature beyond your organization and to your franchisees. You can check the performance of the employees of any franchise and see what is lacking. The same principle can be applied to departments. ERP allows you to streamline workflow and coordinate inter-departmental working. This coordination is needed in departments between the franchise and the franchise too. Since the franchisees are located at various geographical locations, coordination is even more necessary. ERP helps you in this by giving you a dashboard where all data could be viewed and analyzed. Enterprise Resource Planning software is one of the essential business tools in the market today. Yet, many fail to exploit the full potential of this tool. Among the many less-talked about utilities, you can use ERP to grow and empower your franchise partners, and make management easier for yourself. All you need is a little bit of planning and some effort. You will soon notice how ERP makes franchising your brand a piece of cake for you!